(February 2018)As the population ages, the demand for informal caregiving by family members is constantly increasing. In many cases, adult children are providing care for their elderly parents, resulting in additional stress which puts the caregivers’ mental health at risk as well. In providing care, caring for and caring about a parent are two different issues that can negatively impact an adult child’s health. Health effects resulting from the stress of providing informal care for someone are referred to as the “caregiver effect”. At the same time, being concerned about the decline of a parent’s health can have an influence on the health of the caregiving child, too. These effects of caring about parents and other family members are referred to as the “family effect”. Both the caregiver effect and the family effect will be present in informal caregivers. Most studies that investigate health consequences for caregivers, however, do not distinguish between the two. A new study by Dörte Heger aims to disentangle these effects to provide a better understanding of how parental caregiving affects mental health. For her study, Heger uses data from waves 1, 2, 4 and 5 of the Survey of Health, Ageing and Retirement in Europe (SHARE), collected between 2004 and 2013. The multidisciplinary and cross-national household panel survey collects a wide variety of health and socio-demographic information on Europeans aged 50 or over. The longitudinal design of SHARE allows the identification of the relevant effects. The sample includes 3,669 women and 2,752 men aged 50 to 70 who participated in two or more interviews and had at least one living parent at the time of the first interview. Information on mental health is based on the EURO depression (EURO-D) scale, a standardized measure to compare symptoms of depression in Europe. Furthermore, the SHARE data provides information on caregiving activities of the respondents as well as on parental health. A total of 51% of the observed women and 41% of the observed men provided informal care to a parent at some point during the observation period. The study finds evidence for both the caregiver effect and the family effect. Parental caregiving increases daughters’ number of depressive symptoms significantly, whereas its negative effect on caregiving sons is significant as well, yet slightly smaller. At the same time, a decline in parental health leads to an increase in the number of depressive symptoms for both daughters and sons. Additionally, daughters suffer significantly more in terms of reduced mental health when they are caregivers to their single parent – in this case they are more likely to be the primary caregiver as spousal care is no longer available and caregiving becomes less of a choice but is provided out of necessity. In times of population ageing, the need for informal care is growing quickly. 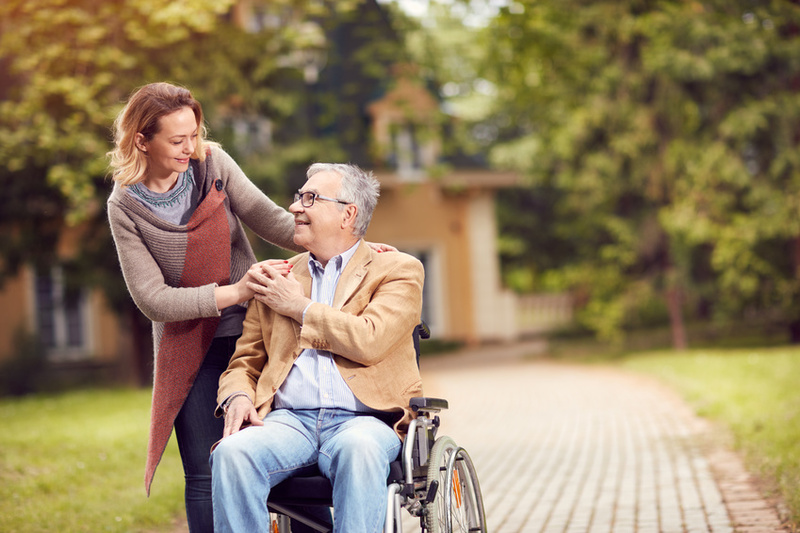 While Heger’s study has only found small negative health effects for the “average” caregiver, the effects are multiplied if care is provided out of necessity due to the care receivers care needs. Policymakers should therefore be advised to provide alternatives to informal care and make caregiving a choice rather than an obligation, thereby reducing negative mental health effects, Heger concludes. Study by Dörte Heger (2017): The Mental Health of Children Providing Care to Their Elderly Parent. Health Economics 26(12): 1617-1629.